All amenity kits in the new collection feature a range of Castello Monte Vibiano Vecchio skin care products including a lip balm, a hydrating facial mist, anti-ageing cream in business and a night recovery cream in first class. The kits will also include socks, eye shades, earplugs and Bric’s signature spectacle pouch and hairbrush in first. More and more airlines have recently rolled out products designed to be re-used after flights such as Etihad’s first class lounge wear which was designed to be worn out and about. 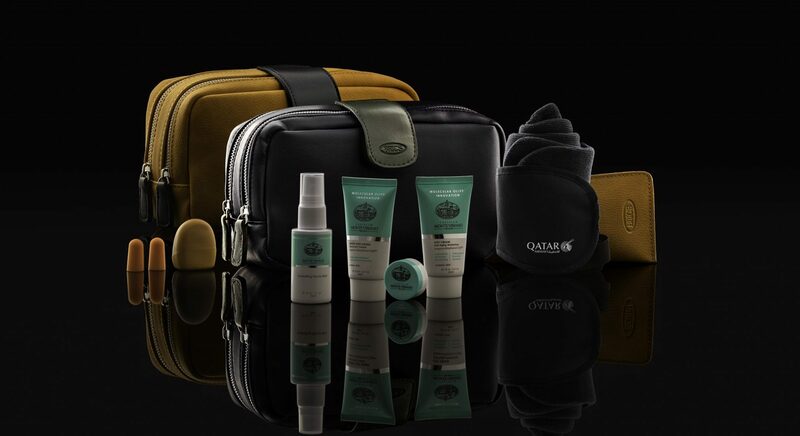 Qatar Airways and the Italian brand began their partnership in 2016 with the creation of a premium amenity kit to first and business class passengers. Qatar Airways has plans to add a number of new destinations to their network in 2019 including Lisbon, Portugal; Malta; Rabat, Morocco; Langkawi, Malaysia; Davao, Philippines; Izmir, Turkey; and Mogadishu, Somalia.